The IRI says it's confident the DOL is taking the insurance industry's concerns seriously over the DOL's proposed fiduciary rule. The Department of Labor remains amenable to allowing commissions on lifetime income annuities, as well as the marketing of proprietary annuity products, according to the leadership of the Insured Retirement Institute, which represents the interests of insurance companies, among others. In a press conference laying out the trade association’s 2016 agenda, Cathy Weatherford, president and CEO of the IRI, and Lee Covington, IRI’s general counsel, said they remain confident the DOL is taking seriously the insurance industry’s concerns with the DOL’s proposed fiduciary rule, and the restrictions it would place on the sale of annuity products. The rule is expected to be finalized in a matter of months. Critics of the proposal have claimed its Best Interest Contract Exemption provision would effectively outlaw commission-based compensation for retirement advisors and insurance brokers. If accurate, that would impact the sale of variable annuities, fixed-income annuities and longevity annuities, among other income generating products, which are largely sold on commission. On several occasions, DOL officials have said the proposal does not outlaw commission-based compensation. But “every ERISA expert we have consulted with says the rule bans commissions,” Covington said in the press call, pointing that discrepancy out as the area of main disagreement between regulators and annuity providers. Both Weatherford and Covington noted the string of regulatory action issued during the Obama Administration that aims to make lifetime income products more accessible to retirement investors as reason to believe the DOL won’t finalize a rule that restricts annuities. 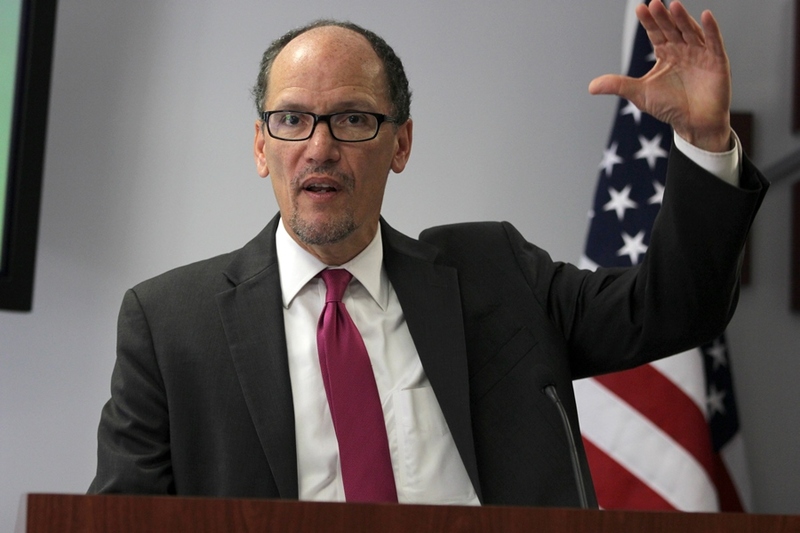 They also noted the scores of concerns raised by Congressional Democrats over the proposal, as well as Labor Secretary Thomas Perez’s numerous public promises to finalize a workable rule as further reason to believe regulators will finalize improvements to the proposed BIC exemptions. “We agree that financial advisors must act in the best interest of clients,” said Covington, who suggested a middle ground between the DOL’s proposal and existing regulation of annuities. Compensation should be reasonable, he added, echoing language in the proposal. But he also said further clarification is needed to define what exactly is reasonable. The DOL’s proposal limits reasonable compensation to the service being provided by the retirement advisor, explained Covington. A more balanced definition of reasonable compensation would include consideration of customary compensation, which takes into account the fees and expenses of structuring the guarantees in annuity investments. Middle ground also exists when it comes to the marketing of proprietary annuity products. “We’re very hopeful the DOL isn’t trying to ban proprietary products,” added Weatherford. As far as any action Congress make take to delay or replace the rulemaking process, Weatherford and Covington said it is too early to tell. “That will depend on what the final rule looks like,” said Weatherford. Click here for a copy of the IRI’s Policy Agenda.